This rug looks just like the photo and it's a great option under a dining table because of the flat weave. I would definitely purchase it again! Add style and flair to your living space with this handmade area rug. 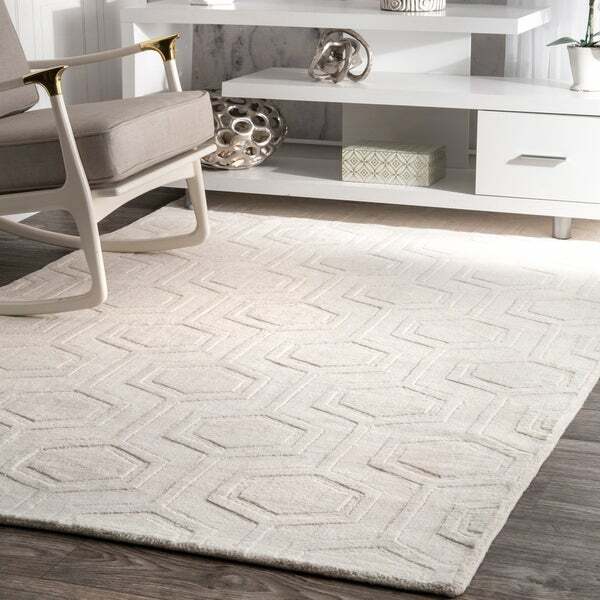 This rug features a subtle, yet elegant hexagonal design. This rug features a durable and plush pile suitable for high traffic areas. Made with 100-percent wool, this rug is sure to last. This is a very nice rug. Very good to match any decor. I would like to give 5 stars because for much of having the rug it held out well, and the color keeps it from showing dirt and stains. I had it in high traffic area and over a year, the wear on the rug is showing. So - this is an excellent purchase for under a dining room table or low traffic area. Not for high traffic use. Also sheds badly. I had been looking for rugs for about 8 months. I found this just before placing an order with a different company. When it arrived I opened to make sure the correct rugs had been sent. When I saw the rug I was so very pleased. It is exactly what I wanted. I purchased 2 to go in my bedroom. I like the color because I have 3 Boxers who are in my room whenever they are not outside. I am very pleased with these rugs. They are quite soft under the foot. I like that they have a pattern within the solid color. Obviously I am very pleased with my purchase! Very pleased with these rugs! I like that this rug feels classic. 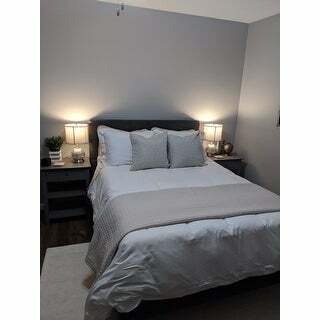 It's solid cream/ivory color has some interest with the hexagon design but it doesn't busy up the room. I have placed it in my bedroom. It adds a softer elegance. I can change bedding and colors and keep the rug the same. It is comfortable yet firm to walk on. I love the pattern but not in love with the color or quality of the rug. It doesn't look like one pure color. Since I've had it I've stared at it a few times wondering if it's got dog fur on it or if thats the color of the wool but it's looked that way since I've gotten it. The rug has also shed a lot. Because of how it was rolled when it was shipped there's been a line/indentation on one side that I'm assuming will smooth out over time. Wow! Beautiful heavy wool rug with understated elegance in the geometric pattern created by the wool pile. Goes great with my contemporary/mid century style couches. The rich cream color Creates an inviting seating area atop my dark espresso bamboo floors. It feels really luxurious to the skin. 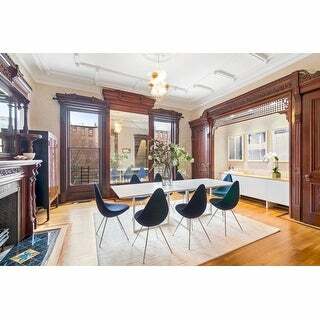 Overstock’s photos don’t do it justice! So glad I bought it! I looked for over a year to find a large, ivory wool rug without flowers or looped yarn. This is the perfect rug for my room. It does shed but I have come to expect that with natural fibers. There was a slightly musty smell initially but this has not lasted and was not overly offensive. The pattern is very updated and the color is a dark ivory or near linen color. 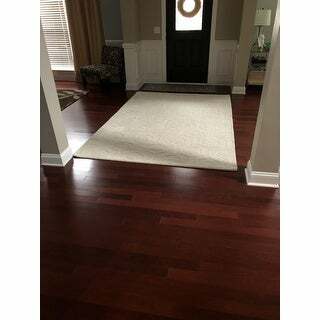 Excellent buy and we are pleased with the quality. Option: Grey - 8' 6" x 11' 6"
This is a gorgeous rug. However, even after months it sheds and is now developing bald spots along the bound edges and even spots in the middle of the rug where traffic is low. The rug is definitely not very plushy but it looks great and functions the way that it should. The size and color was exactly what we were looking for so we are very pleased with the purchase! Great Rug! Nice thick pile which gives it a very high end look! Love the pattern and texture which added some luxury to my living room! I was a faction of the cost or the wool rugs in retail stores. I was a bit skeptical because the price was low for a large rug, but it is a beaut. nuLOOM always has consistent quality and good thickness to their wool rugs. This one was exactly as described and pictured. Super nice and perfect in our room. Great rug for front entrance. Sheds quite a bit as do all wool rugs. Great quality for the price. Highly recommend! Not super thick but it is soft and plush. We purchased this for our guest bedroom and ended up returning it. It was stiff and cheap looking and feeling. The carpet between the raised hexagons felt rough. The rug itself was beautiful, nice raised texture, modern geometric look. Perfect for my space. However, the backing was buckled. I was so disappointed to return it, but no issues with the free return and quick refund. It may just have been a problem with my particular rug, and I am considering buying it again because I have bought many rugs from Overstock, as have my friends, and have never had an issue with buckling before. I love this rug. 100% wool. Great design and quality. I wish I could give this rug a 5 star rating. It's absolutely beautiful - love the pattern and the feel of the rug, it's plush, but we've had it for over 3 months and it hasn't stopped shedding yet. Literally every time I vacuum we get piles of white fuzz. There's also a slight grayish cast in certain areas which i think was meant as part of the design but i wish it were a pure creamy white. All in all, we're very pleased. When will it stop shedding!? This is a great rug. Very deep and cushy. I already got a little stain on it, but it blotted right out with a warm water/detergent mixture. My only warning is the color. It does not appear as in the photo -- it's much warmer, almost a cream. This wasn't a big deal to me, but I could imagine it not working well in other homes. "when will 9'6" × 14' be available in ivory?" That should be back in stock in May. "can someone post a real customer picture of the rug?" Unfortunately, we currently do not have any images with reviews. "Does this 'shed' or leave wool particles on clothing, shoes, etc.?" "What is the backing (behind the cotton) made of? It says no latex. Does it off-gas or smell at all?" This is made of wool. There are no fire retardants added. "Does it clean well? " The rug can be vacuum regularly on the lowest setting. Remove loose ends by clipping them with scissors. For liquid spills, clean immediately by blotting with cloth or sponge. For hard to remove stains, professional rug cleaning is recommended. "I really like the ivory color, but I have small children and pets. Does it show dirt, and stains easily? Or should I not take my chances and go with grey? " Wool rug can be stained. Any spills or stains should be clean immediately by blotting with cloth or sponge. "Although the description says ivory, it looks to be more of a cream. Can you tell me which it is?"